EA Mobile has announced some of its plans for mobile releases over the next year, with “a dozen” games in the pipeline. These include FIFA 15 Ultimate Team, which will launch later this month, along with Peggle Blast and SimCity BuildIt, the newest installments in the popular puzzle and city-building franchises, respectively. Peggle Blast is coming to iPhone, iPad and Android devices as a free-to-play experience. Gamers will meet new characters, or Peggle Masters, on their level-based journey, which will ask players to shoot orbs at orange, blue and other colored pegs on the screen to remove all of the orange (or other key) pegs before running out of shots. Each level will have a different layout of pegs, and players can use power-ups like aiming trajectory lines to make things a bit easier. From the game’s screenshots, it appears users will earn up to three stars on each level of Peggle Blast, depending on their score. 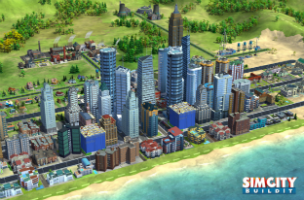 Meanwhile, SimCity BuildIt will also launch on iPhone, iPad and Android. The game has been specifically created “for gamers on the go,” and will allow users to make choices that impact their city. That is, users can focus on meeting their citizens’ needs with positive choices, or “make questionable choices and feel [their] citizens’ wrath.” The game will offer pinch, zoom and rotation controls for viewing a city in a full 360 degree view, as skyscrapers sprout up next to industrial complexes and homes. Both Peggle Blast and SimCity BuildIt will launch this fall. Check back soon for more.